How Do I Get My Dog to Stop Pulling on a Leash? Home/Dog Training Tips/How Do I Get My Dog to Stop Pulling on a Leash? A leisurely walk can quickly turn into a game of tug-o-war when a dog lacks proper leash etiquette. Despite popular belief, most dogs do not pull on the leash to show their dominance or to present themselves as the pack leader. The reasoning is often much simpler than that. Pets just love being outdoors and walks are the most exciting part of their day. 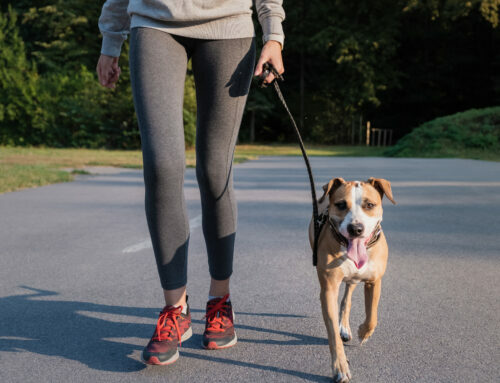 Regardless of why your pet pulls on the leash, it is important to teach your pup how to walk correctly so that you both can enjoy peaceful strolls without frustration. If your dog pulls on the leash, then the walk is not healthy or relaxing for you or your pet. 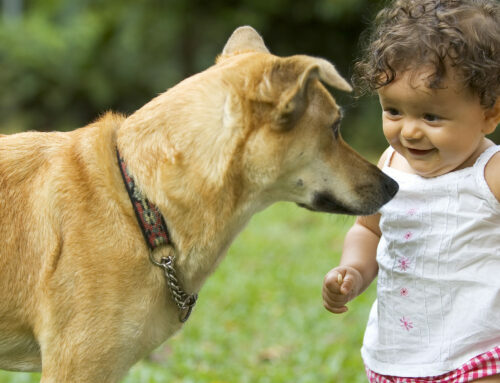 With loose-leash walking, your dog has the opportunity to sniff, relieve himself, and explore his surroundings as long as he remains near you and does not put tension on the leash. Ideally, you want your dog to walk beside you, slightly in front of you, or slightly behind you. 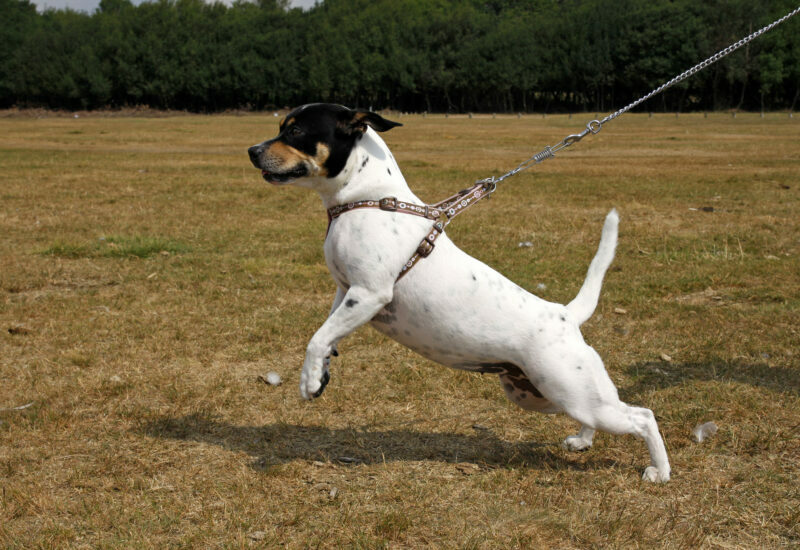 Loose-leash walking is an effective technique that can be used on dogs of all sizes, big and small. Start by making sure that your dog is wearing a properly fitted collar and that the leash is at a fixed length no longer than 6-feet. Do not use retractable leashes. Begin your walk with your dog close enough to you that the leash remains loose. If the dog begins to pull and the leash goes taut, stop walking. Once the dog stops and the leash goes loose again, offer your pup praise and treats before walking again. Repeat this method as many times as necessary until your dog understands that his pulling behavior results in negative consequences and that not pulling leads to praise and treats. While there is numerous tools on the market that claim to stop dogs from excessively pulling on the leash, few are truly effective. The Doggie Don’t device is the exception. This safe, humane, and audible tool is designed to correct unwanted behaviors, such as leash pulling. The device makes a sound that stops your pup in his tracks. When used in conjunction with verbal commands and positive reinforcement, The Doggie Don’t device is highly effective in stopping nuisance behaviors. The tool is also compact and comes with a wrist strap, making it easy to bring on walks.